We have exciting news! 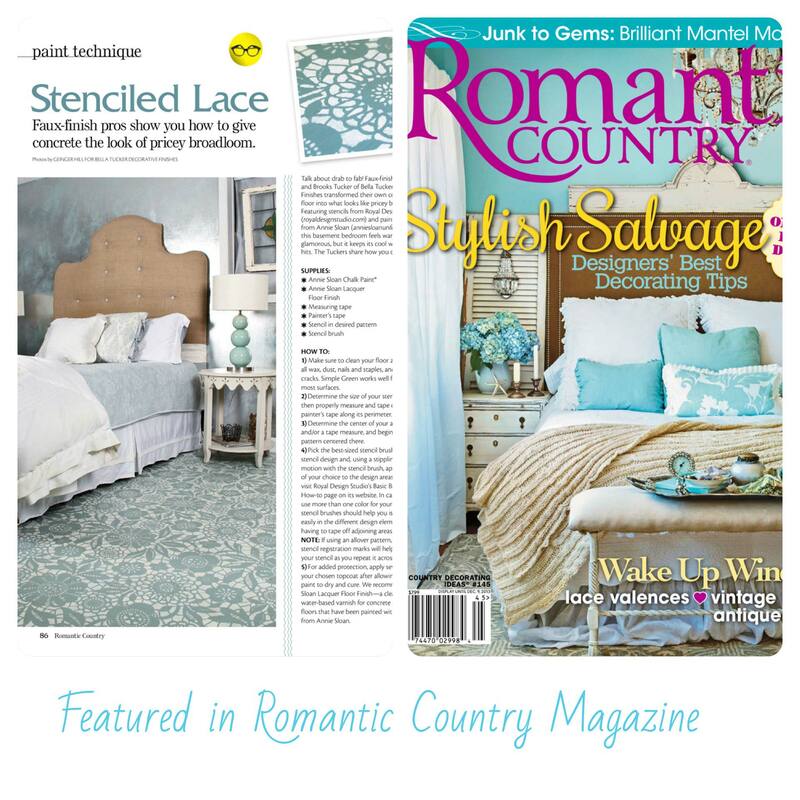 Our work is featured in the Winter edition of Romantic Country. They are showcasing our Painted Floors with Annie Sloan Chalk Paint. This was a fun project where we painted the concrete subfloor in our basement bedroom using Royal Design Studio’s Skylar’s Lace stencil and Annie Sloan Chalk Paint. This project generated a ton of shares and features across the web. Big thanks to Melanie Royals for presenting our project to Romantic Country Magazine. If you’d like to add a decorative paint treatment to your home we’d love to talk to you. Please fill out the form below.